Hi, this is Rebecca from Roots And Wings Co. I am honored to be asked, again, to guest post for Cindy of Skip To My Lou! 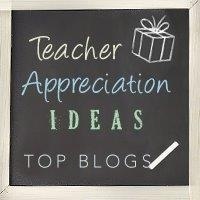 This year I am thinking about teacher appreciation gifts from the point of view of the teacher. After 5 long years of going to school to become a teacher myself, I just got my teaching degree! As I embark on my career of being a teacher, I knew I wanted to come up with something that a teacher would actually use. I also wanted it to be school related, but not tacky or the same thing they always get. 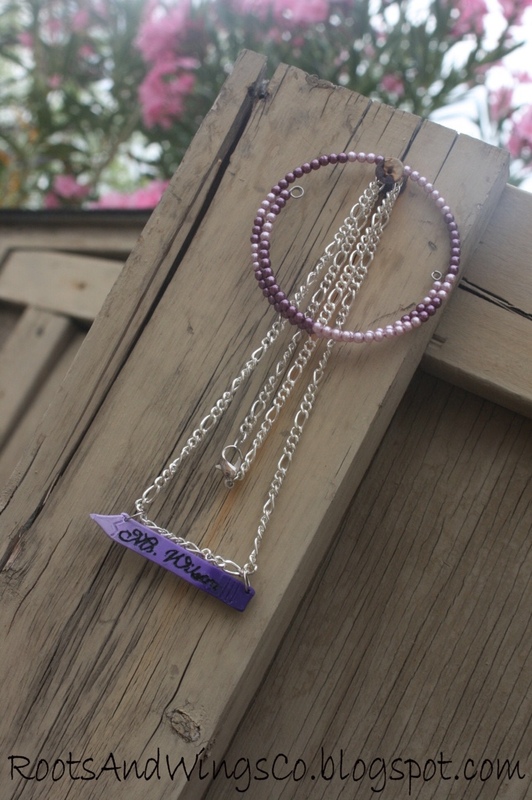 So, I made some customized jewelry. Make sure to find out your teacher’s favorite color and do this jewelry in that color, or to match a favorite outfit of hers. I made my jewelry out of polymer clay (a favorite medium of mine!). -Roll out a piece of clay that thicker than a quarter of an inch (so it wont be so fragile). I chose to make mine be different shades of purple here. *I also made a black/gray one, but I wanted the lines on the diagonal. The above shows how to do that. -Print a picture of a pencil, and then add the teacher’s name in the middle of it. Cut this out. -Use a lead pencil and trace all lines of the name and pencil, a few times. 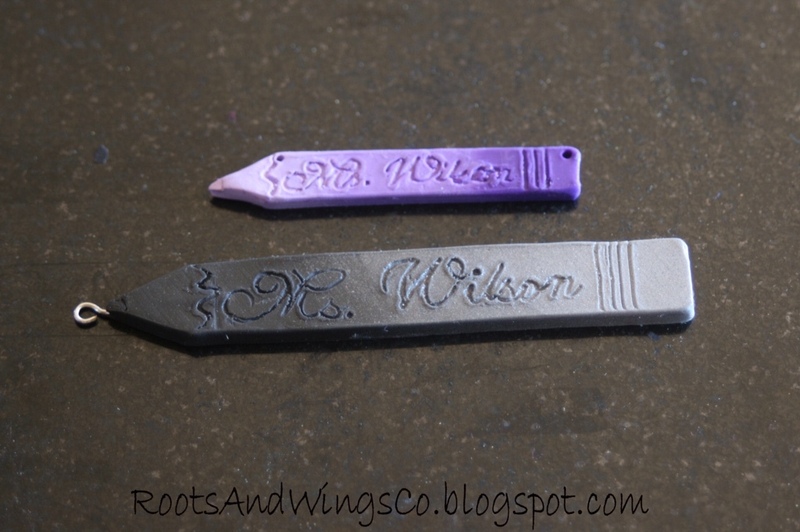 Turn this pencil upside down and lay it over your prepared piece of polymer clay. -Use the pencil as a guide to cut the pencil shape out with a razor. -Color on the backside of the paper pencil, with the lead pencil. *This is transferring the words and lines that you traced, onto the clay. -Use those traced guides and etch the lines into the clay. -Add holes for adding it to the jewelry. On the purple pencil I added 2 holes along the top so this piece will hang horizontally. For the black pencil I added metal with a loop right into the clay, for this one to hang vertically. Bake as directed on your clay package. -To make sure the name was more visible I filled it in with nail polish. Any nail polish that got outside of where I wanted it to, I erased with nail polish remover! -String these up however you want them on a necklace. I also made up matching bracelets to go with them. Thanks, Cindy, for inviting me to be a part of this really fun Teacher Appreciation series! This would be great to make into magnets, nowadays, most schools have magnetic boards and the teachers could use these on them! Personalized is even better so they don't come up "missing"! Love this idea! 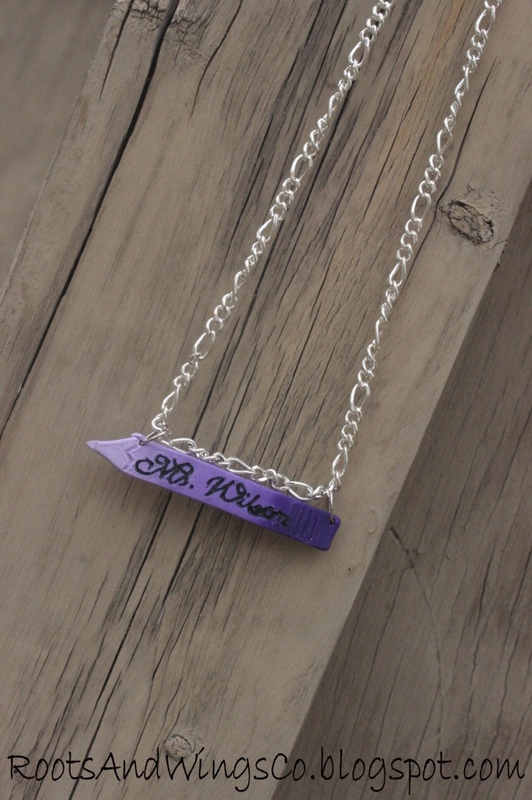 I think any teacher would love to have a personalized necklace as beautiful as these ones!